An acoustic-electric guitar is a smart choice for a guitarist who wants the sound and vibe of an acoustic instrument but still needs the ability to be heard by a large group or alongside amplified instruments. You can plug an acoustic-electric instrument into an amp built especially for acoustic guitar, or you can run your instrument out to the PA system. You can even plug your guitar straight into a mixing board for recording. As you can see, acoustic-electric guitars allow a tremendous amount of flexibility compared to basic acoustic instruments. Putting a microphone in front of a standard acoustic guitar is fine for recording, but a major hassle for live situations. Even if it sounds good, you are pinned down to one spot on the stage. If you move even a few inches you compromise the sound of your guitar. 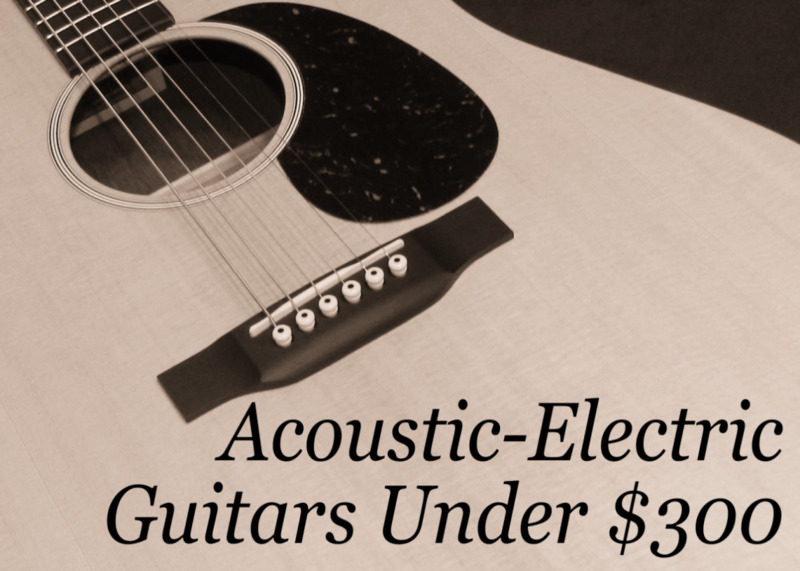 Acoustic-electric instruments are the answer here, but they also cost a bit more. Remember, you are not only looking for an instrument that has all the best properties of a good acoustic guitar. You also need a quality pickup and preamp setup, and that adds to the price of the instrument. For this reason, finding a quality acoustic-electric guitar for under $300 isn’t the easiest thing in the world. You have to do your research. They're made from some of the top brand names in the guitar world, companies I have come to know and trust in my three decades as a guitarist. Some brands have a reputation for excellence when it comes to intermediate-level gear. 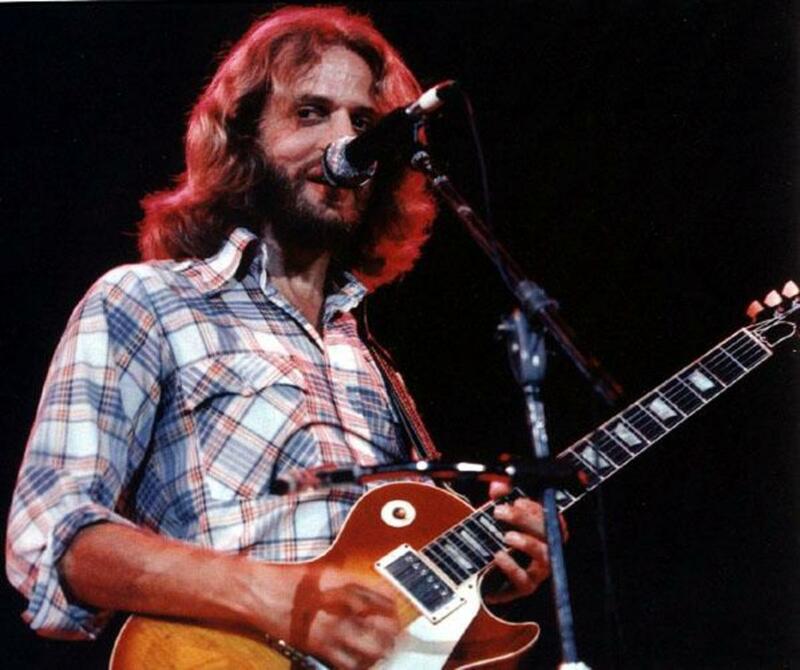 For example: You're not going to get a Gibson at this price point, but you can count on Epiphone to deliver. They sound great. You expect a $1000 guitar to get high marks when it comes to sound and play, but with inexpensive guitars it gets a little tougher. You'll have to do some of that legwork on your own, but these instruments are a great place to start your search. Any one of them would make an outstanding acoustic-electric guitar for a beginner or intermediate player. My top pick here is the Epiphone Hummingbird PRO, based on the Gibson Hummingbird. The Gibson Hummingbird is a legendary acoustic guitar, but of course way out your $300 budget. As you may know, Epiphone is a company owned by Gibson, and authorized to make budget versions of classic Gibson guitars. Epiphone is one of those brands that really excels when it comes to beginner and intermediate-level guitars. In this case they have really done an amazing job with the Hummingbird PRO. This is a beautiful guitar with a Faded Cherry Burst top and a classy Hummingbird graphic on the pickguard. It just reeks of that iconic Gibson acoustic vibe, but what it has going on under the hood is really what matters. The Hummingbird PRO features a solid spruce top with a select mahogany body and neck and rosewood fingerboard. I really like mahogany in acoustic guitars for its warmth and richness. The pickups and preamp are the Shadow Nano Flex system. Shadow is a respected builder of acoustic guitar electronics, and the addition of their preamp here makes a great guitar even better. This is a guitar that looks and sounds like a much more expensive instrument. That's kind of what Epiphone does, and they've nailed it here. 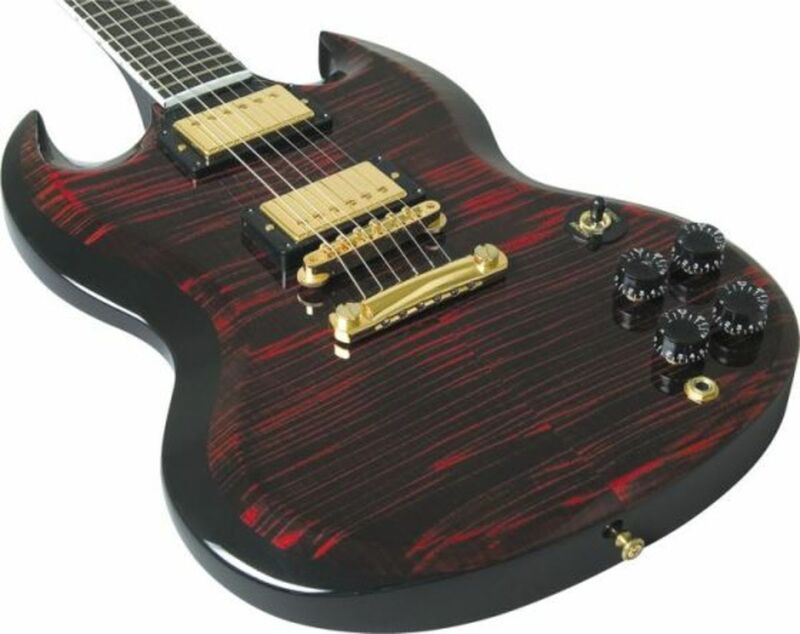 This is a guitar with a legendary design, but it comes in at an affordable price. Grab the Gibson if you can. If not, this is the next best thing. The Epiphone Hummingbird PRO is an excellent choice for guitarists looking for a warm, deep-sounding dreadnought acoustic. Yamaha FG and FS acoustic guitars are among the top instruments for guitarists on a budget. I always recommend the FG800 and FS800 models in particular, and in my opinion they are among the best acoustic guitars for beginners. So, it was pretty much a no-brainer that the electrified versions would make my list here. The FGX800C and FSX800C have many of the same properties that makes other guitars in Yamaha’s FG Series such great values. They features solid Sitka Spruce tops and Nato back, sides and neck. Nato is a wood often used as a substitute for Mahogany in budget-level guitars. It is important to realize that no guitar in this price range will be made entirely of solid woods. The sides and back are often laminates. For that reason, don’t get too hung up on Nato vs Mahogany. What matters is that their tonal properties are similar. So what's the difference between the FGX and the FSX versions? The FGX has a dreadnought-style body, where the FSX has a slimmer concert-style body. Dreadnought-style guitars tend to offer a little better projection, but remember you have the option to plug in here. Both feature cool cutaways for easier access to the upper frets. For electronics Yamaha uses their own System66 with a 3-band EQ. As with the other guitars in this review, I am impressed with the quality of the electronics compared to what acoustic-electric guitars were like in years gone by. The Yamaha FS Series features some of the top acoustic guitars in the world for beginning and intermediate players. The FSX700C is an acoustic-electric version of the classic FS800, with a single-cutaway body design. Also consider the FGX800 with a dreadnought body. Both are high-quality, affordable guitars from one of the best names in the business. Unless you have been living under a rock for the past half a decade, you know Fender. This is the guitar company that gave us the Stratocaster, that legendary instrument wielded by icons like Jimi Hendrix and Eric Clapton. Fender acoustic guitars were always very good, but they have never really achieved the same status as their electric instruments. The T-Bucket 300 CE is something different though. This is a guitar that truly marches to its own drummer, and if you are looking for something different than the typical dreadnought cutaway design this may be the guitar for you. The Fender T-Bucket 300 CE features a maple top with laminated mahogany back and sides, and mahogany neck and a rosewood fingerboard. On paper this looks like some of the other guitars in this review, but the T-Bucket has a feel somewhere between an acoustic guitar and an electric. Players who use this guitar unplugged may find it sounds little thinner that other guitars in this review, but the Fishman electronics will take care of that once you plug in. With a style and vibe all its own, the Fender T-Bucket 300CE stands out among its peers. It may be affordable, but expect Fender quality through and through. If you are the kind of guitar player that prefers to take a few steps off the beaten path the T-Bucket might be just what you are looking for. Need more options? I've got more options! These guitars didn't make my top three, but they did make my top five, and that's pretty good too. In fact, depending on your taste and style, they might be perfect for you. Ibanez Performance Series PF28ECE: Here’s another guitar from another well-known company that doesn’t always get recognized for their great acoustic instruments. But that’s not the only thing the Ibanez Performance Series PF28ECE has in common with the Fender T-Bucket above. It too features a maple top with mahogany back, side and neck and a rosewood fingerboard. The electronics incorporate a Fishman Sonicore Pickup along with Ibanez’s SST Shapeshifter Preamp. It’s a quality setup, but the PF28ECE has one more feature that I really like: In addition to a standard ¼” guitar output jack, it also has a balanced XLR out. Nice! Washburn WCD18CE: Washburn makes some excellent acoustic guitars, and the WCD18CE is a nice surprise in this price range. It features a select spruce top, mahogany back, sides and neck and rosewood fingerboard. Like the Hummingbird above, this makes the WCD18CE a deep, rich-sounding dreadnought. It's a plain but very attractive guitar, with its single-cutaway shape. But it also features Fishman Isys+ electronics, so all that great tone from your guitar will not be lost through the preamp. Which Acoustic-Electric Guitar is Right for You? After checking out these instruments it may be very clear to you which acoustic-electric guitar is best for you and your style. Or, you may be on the fence and still have some thinking to do. So, which would I choose? I really like the Epiphone. The Hummingbird PRO maintains that classic Gibson look and feel while coming in at a super affordable price. Like Gibson’s Les Paul, this is guitar with a serious history behind it, and to be able to grab a quality version from Epiphone is a treat for intermediate and advanced guitarists alike. Or, you can drop several grand on a Gibson Hummingbird. That’s always an option, too! The Yamaha FSX and FGX come in very close second. In fact, if you want a cutaway design, one of these may be your best bet. Yamaha makes outstanding intermediate instruments, and you can't go wrong. For guitarists who want something just a bit different than most acoustic-electric guitars out there, you have the Fender T-Bucket. It's a unique design from one of the best guitar brand son the planet. Writing this article has taken me back about 20 years, to a time when I was trying to hunt down a good budget acoustic-electric guitar. I knew a lot less about guitars back then, and there weren’t as many high-quality budget instruments around as there are today. I won’t say the brand, but I ended up with a real doorstop with strings, one of my worst purchases ever. I learned my lesson, and I wanted to make sure I really did my homework when writing this post. Guitars have come a long way in the past couple of decades, and I do feel confident that each of the instruments mentioned here is a smart choice for a beginner or intermediate guitarist looking for the best acoustic-electric guitar under $300. 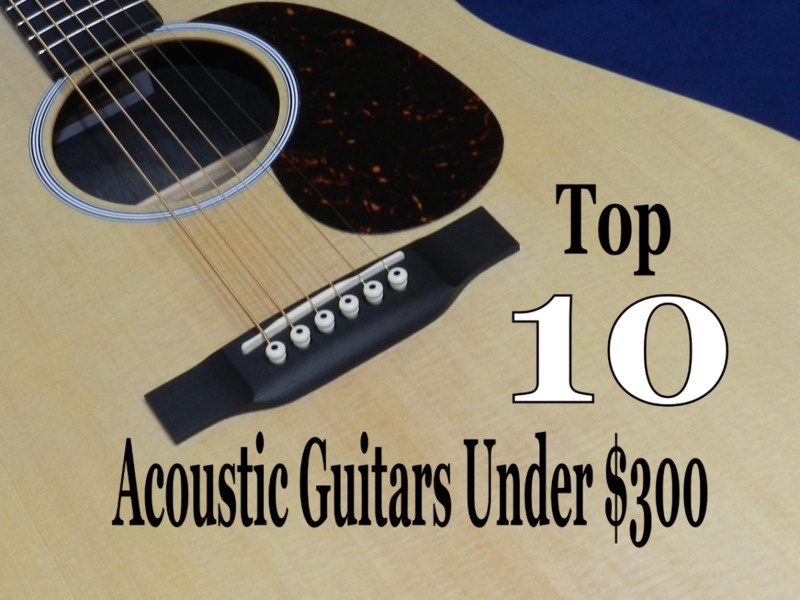 Your Opinion: Which is the best acoustic-electric guitar under $300? Vote for your favorite guitar!